1) Get materials! Find some cute paper and ribbon to make your circus tent your own. I used pink, purple, and red to make them girly. Change the colors to red, blue, and yellow to make them more boyish. 2) Use the svg to cut all your pieces. Then start gluing. 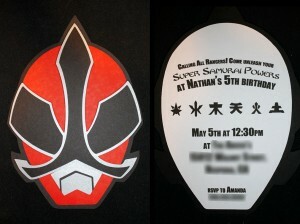 I used spray adhesive on most pieces. However, the spray was not sticky enough for the scallop pieces since they are not being glued to a flat surface. I suggest using regular glue for these and the flags. 3). Cut pieces of ribbon to desired size. I made them approx. 14 inches long. 4) Print party info. 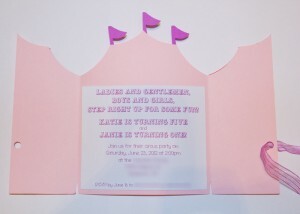 and glue to the inside of invitation. 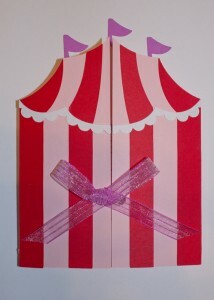 5) Close invitation and tie ribbon. TA-DAAAAAA! That’s all folks! Come back and visit another time! 1) Get materials! 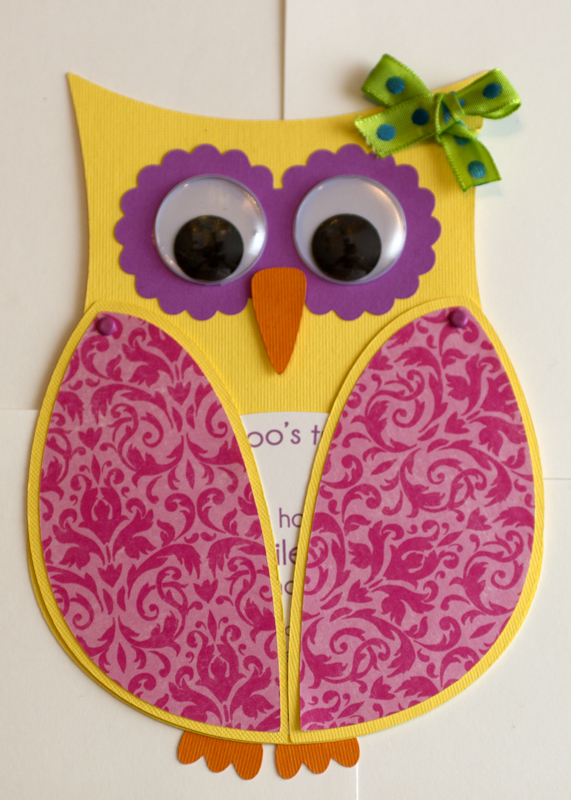 Find some cute paper and ribbon to make your owl your own. I used 28 mm googley eyes and small brads for the wings. I also recommend using spray adhesive for your paper crafts to reduce wrinkles and bumpies. 2) Use the svg to cut all your pieces. Then start gluing. 3). Connect wings to body with brads. 4) Glue on eyes and tie ribbon. 5) Print party info. and glue on owl. 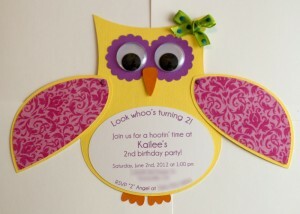 The last step- Have a hootin’ time at your event! 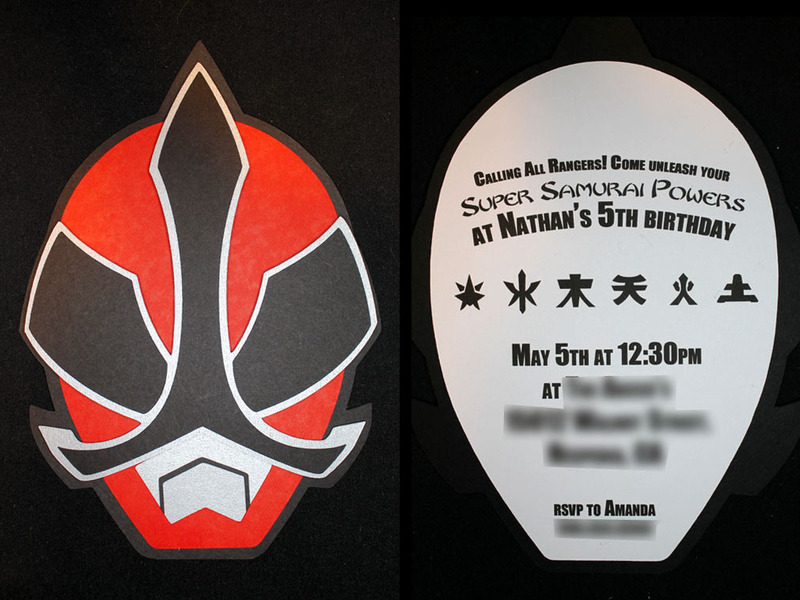 Go Go Power Rangers – Super Samurai Style! Pretty awesome, right? What little boy wouldn’t love this? 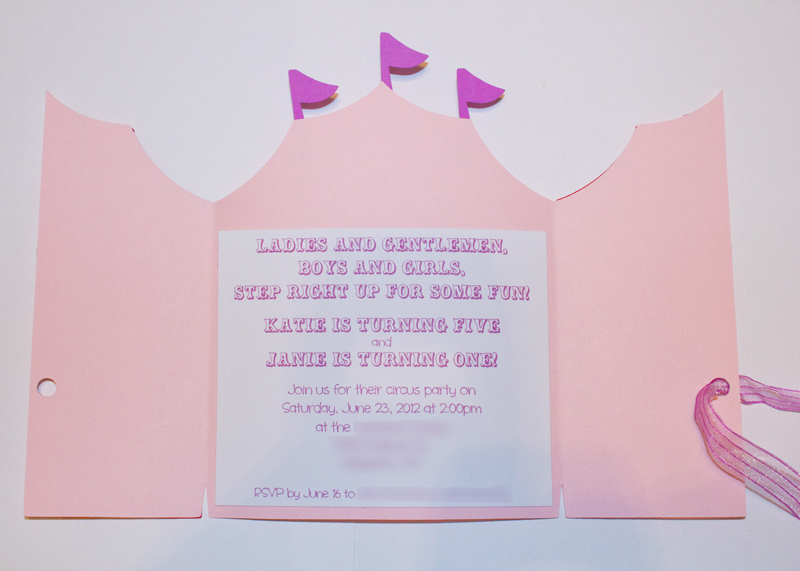 The design is actually very simple and easy to recreate! Plus… you can change the color to fit your kiddos’ favorite rangers! Click below to download the FREE .svg file! Now just cut and glue your pieces together! I personally use spray adhesive to reduce wrinkles and bumpiness in the paper. I also use dot adhesives under the silver nose/eye piece. This gave it a really cool three dimensional effect that made it that much more super! Enjoy! You are currently browsing the Grealish Greetings blog archives for May, 2012.